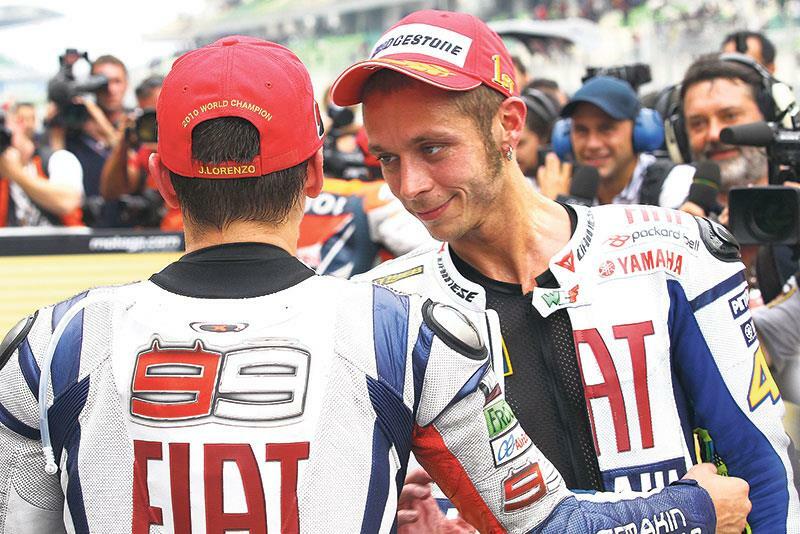 “For sure it’s good news for us, for two more years and staying with Yamaha. 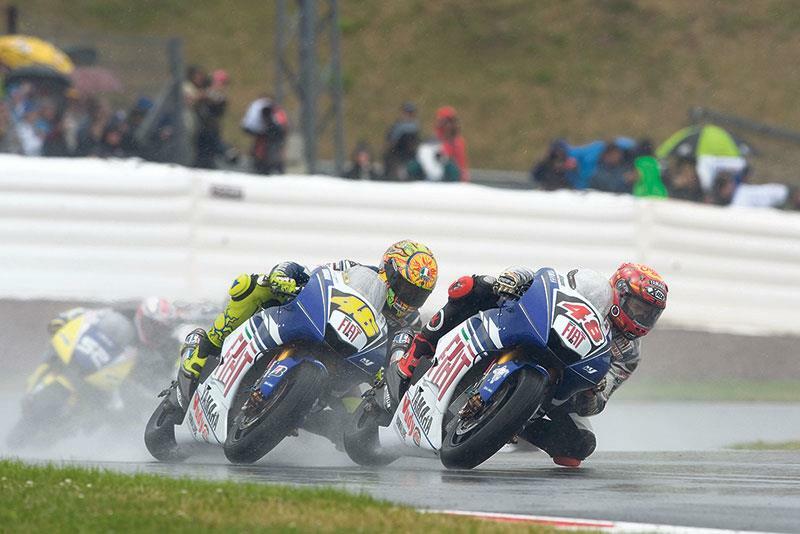 The relationship with Yamaha is getting better and better, Valentino is just as fast as ever, and we’re very happy. 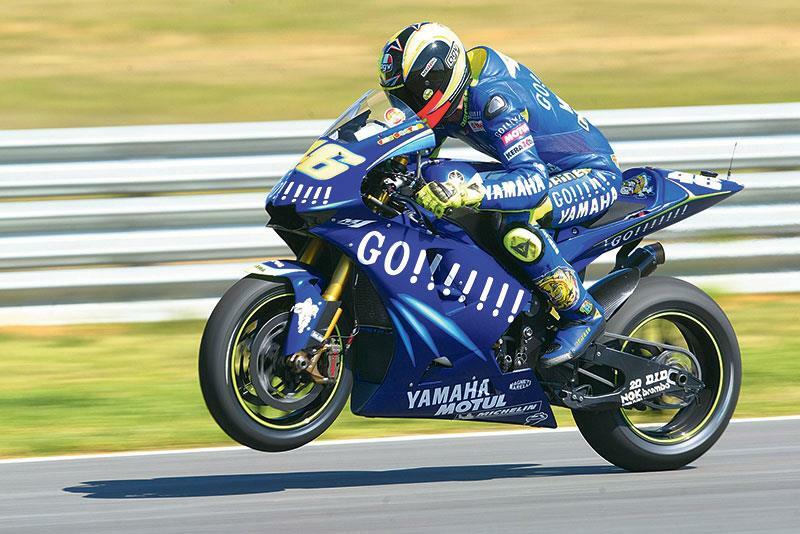 When VR46 and Yamaha want the same things, it makes it easy for us. 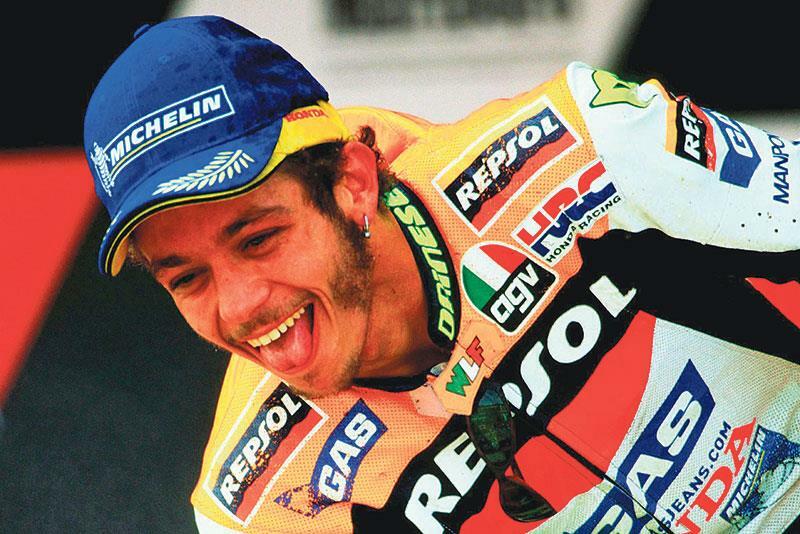 “Of course it’s good news to see Valentino staying for two more years. I think every fan is happy about this; you can see how he’s still the most popular racer all around the world. “From Vale‘s side this is a statement of commitment to the sport he loves and towards the Yamaha brand; from Yamaha‘s side it’s a confirmation of the recognition to the rider that has brought us four MotoGP world titles and who remains so passionate about his sport and is still highly competitive. 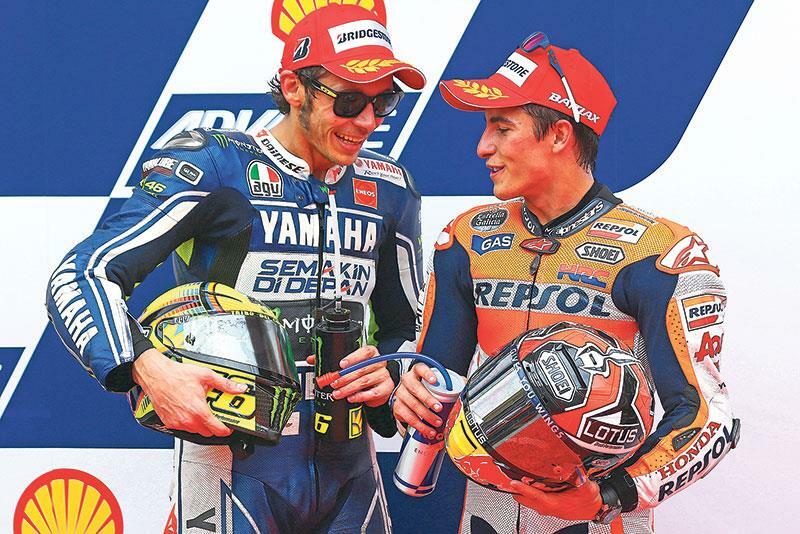 Rossi, the reigning 250GP champion, graduates to 500GP. Honda build him a new team around the departing Mick Doohan’s crew. Second in his first year, he wins the title the following season. 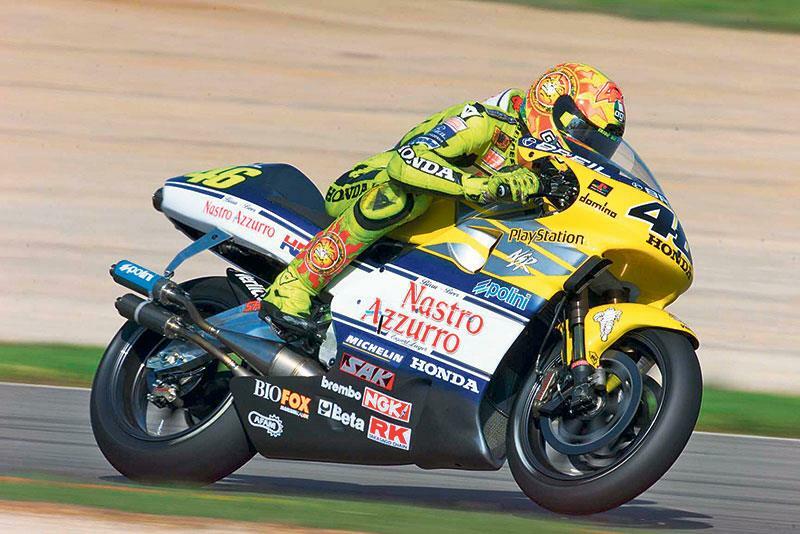 With the new four-stroke machinery comes a new team for Rossi, as Repsol Honda absorbs his satellite team. He rewards them with titles in both years of his two-year deal. Bored of winning with ease at Honda, Rossi sets himself a new challenge and switches to the underdog Yamaha. Winning his first race on the M1, he delivers two more titles in two years. 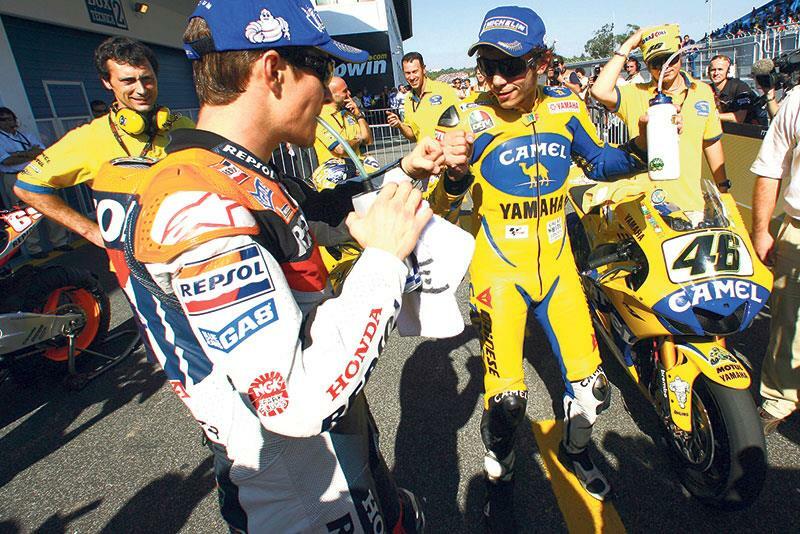 Staying with Yamaha for a further two years, Rossi suffers the rare ignominy of being beaten both years, first by American Nicky Hayden and then by Aussie Casey Stoner. 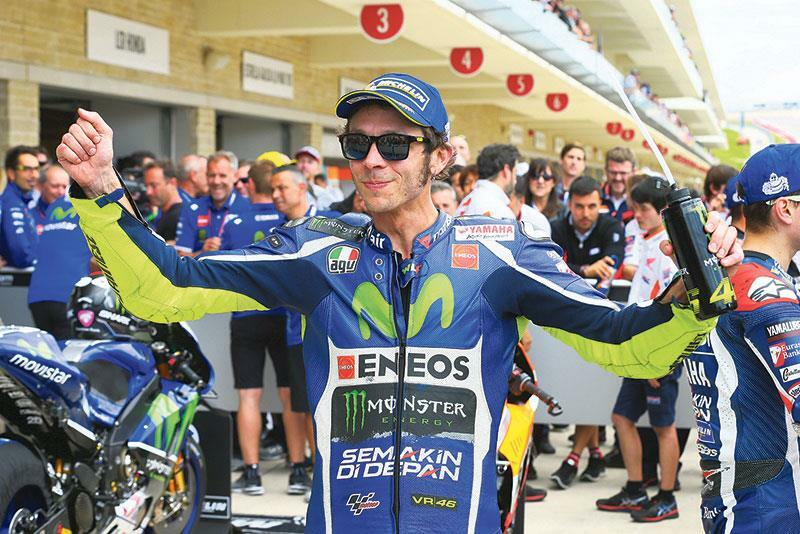 Finding his mojo again on the 800cc machines, Rossi takes two more wins in two years. Jorge Lorezno joins the squad as his team-mate; something set to help define Rossi’s future. Rossi signs a one-year deal with Yamaha, as tensions in the squad become so severe that they are effectively split into two teams. 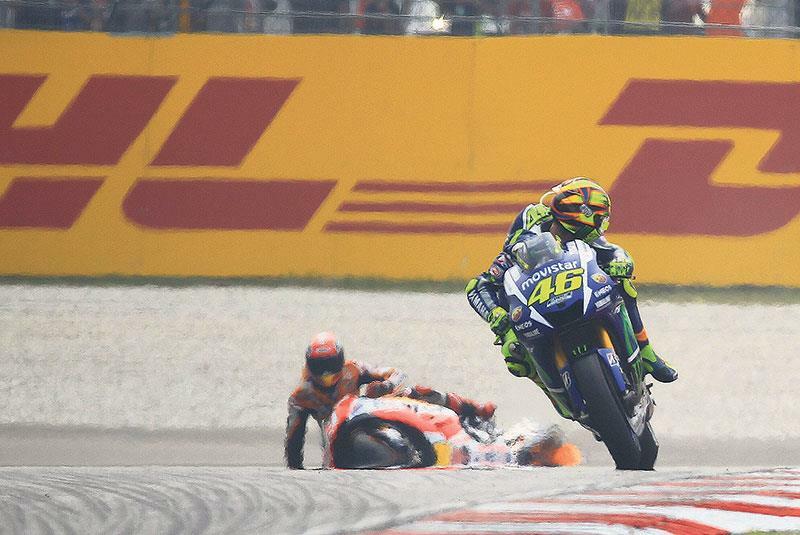 To make it worse, Lorenzo beats him to the title. 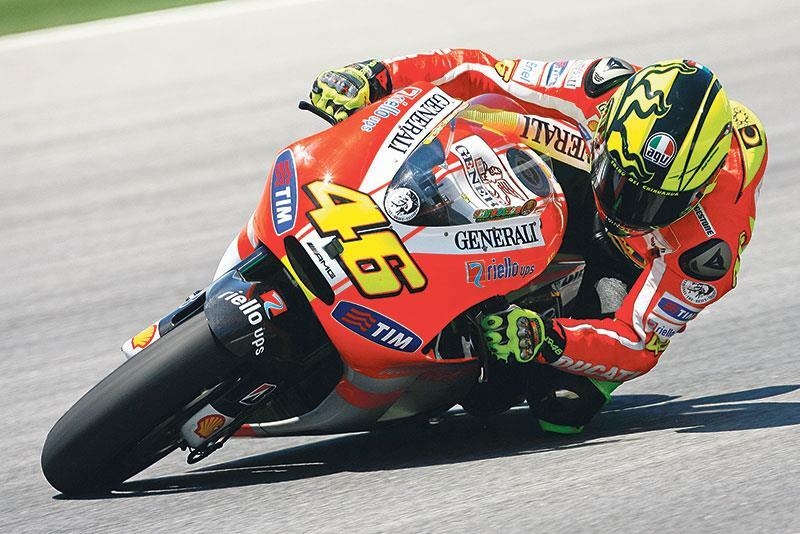 Once again keen for a new challenge, and the prospect of winning on an Italian bike, Rossi makes the ill-fated switch to Ducati. What follows are two years of languishing outside the top six. Rossi returns to Yamaha – but takes his time to find his pace, finishing the first year in fourth with many saying he’s too old. He shoots down his critics in 2014 by finishing second in the title. Rossi starts a second two-year deal with Yamaha, again taking second in the first year as he uses his consistency to only just miss out on a record-breaking tenth title. Fully committed with Yamaha, we’ll see Rossi racing a MotoGP bike at the grand old age of 39. Who knows what the future – and two more years with Yamaha – will bring for Rossi?